Eran is a new promising band inspired by traditional Cretan music. Eran means “to fall in love”, so the band’s style is romantic and powerful. 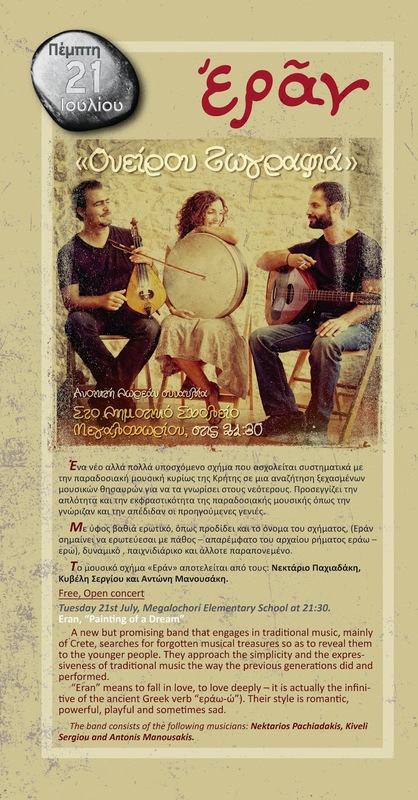 The concert is organized by the Cretan Association of Santorini “Arkadi”. • Place: Elementary School in Megalochori.